Last July, the baseball connoisseurs of the world began seeing small white circles pop up on the socks of MLB players. For those who also dabble in the NBA world or in sneaker pop-culture, we knew the small white emblem meant Stance. And Stance means #sockswag. Even better still, MLB authentic #sockswag. 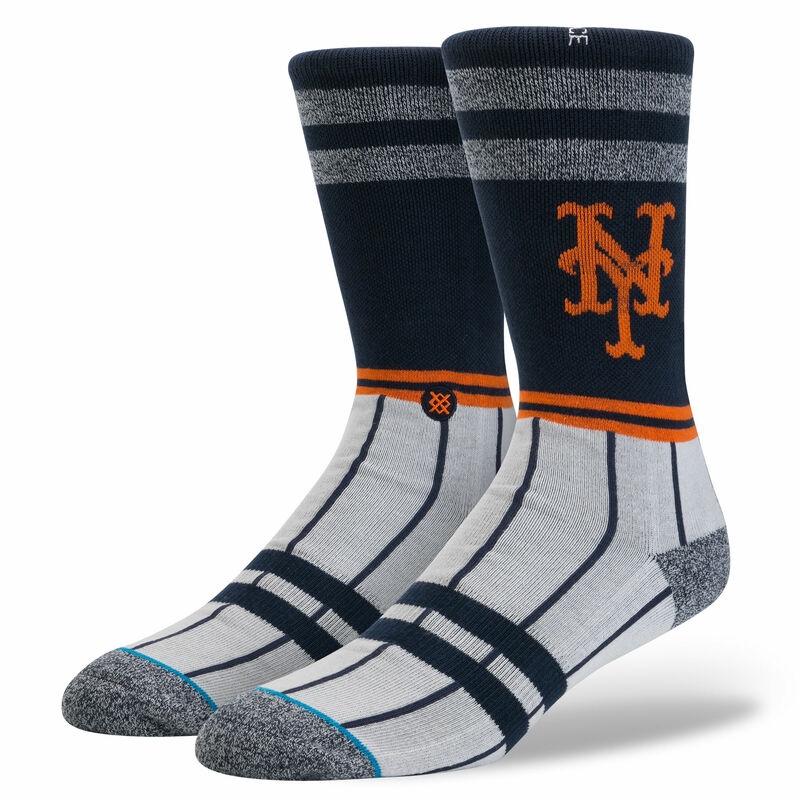 And MLB authentic #sockswag can now be had by all. 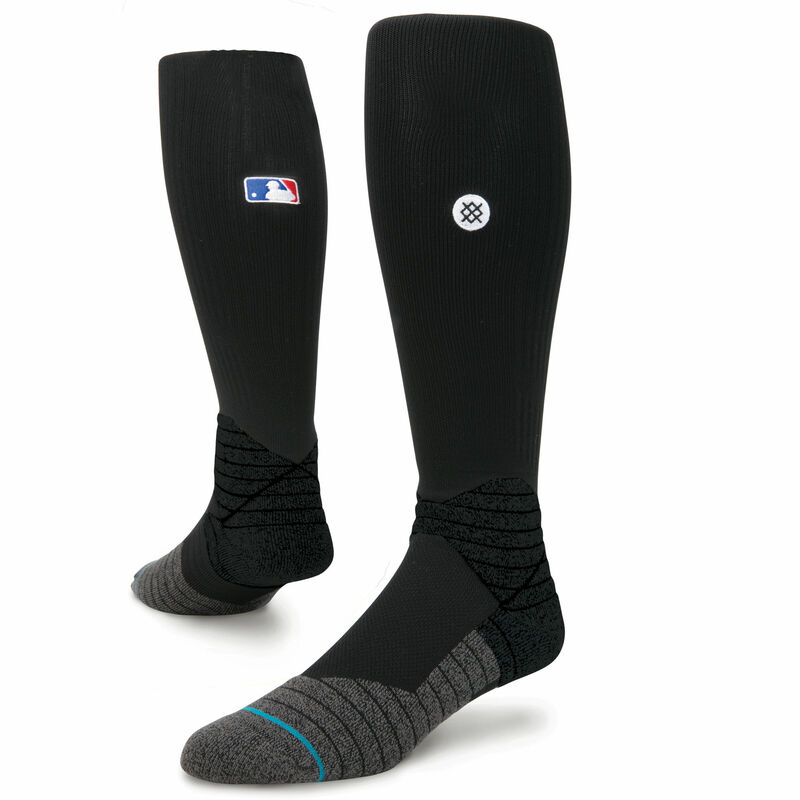 After decking out the NBA as their Official Sock, Stance began another partnership with the MLB. 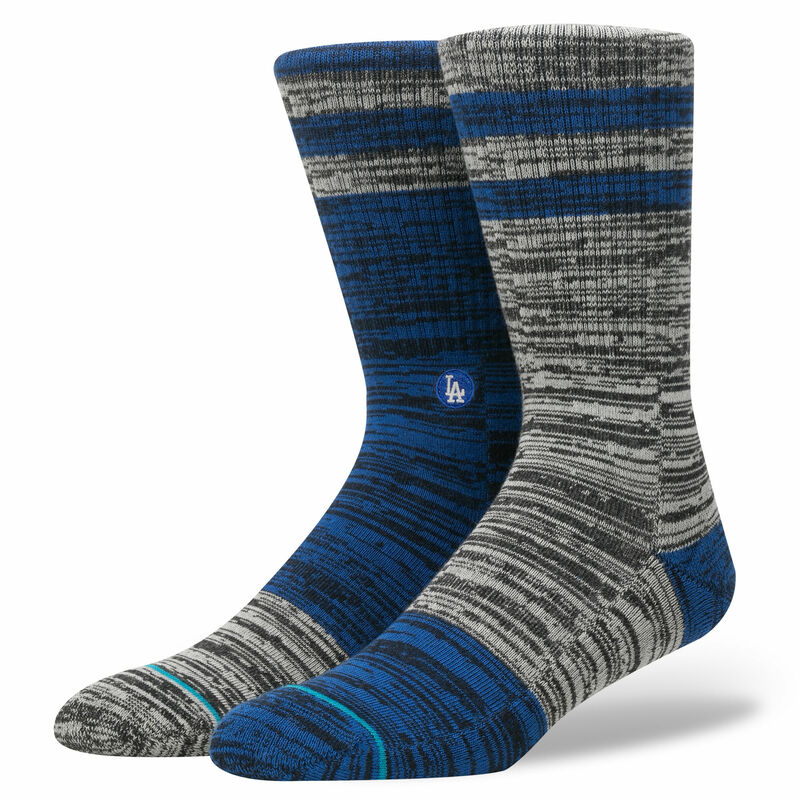 While the world of footwear may be intensely competitive in both sneakers and cleats, there simply isn’t as much competition on the sock side of things. Stance saw the opening and is now driving the market. Stance’s NBA line has featured team-specific On-Court socks, as well as League-wide Theme socks and casual Off-Court socks. 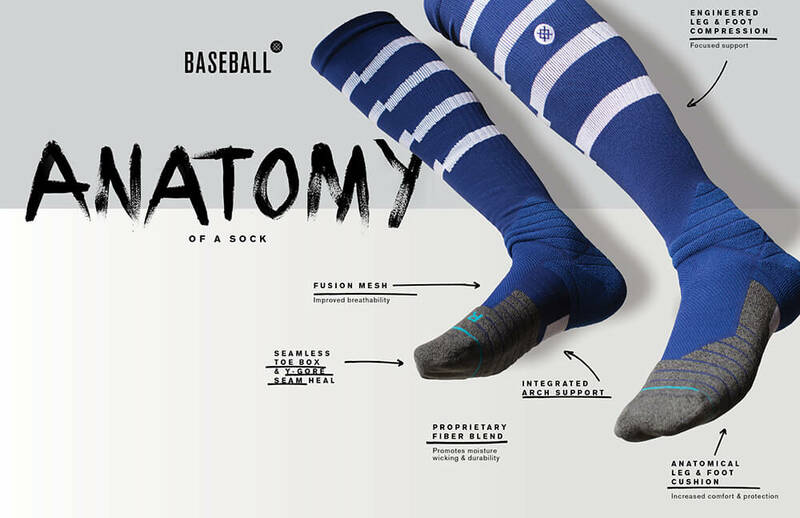 Their MLB line looks to replicate this model with 17 different On-Field varieties currently available on MLBShop.com, with three additional crew cut training socks adorned with MLB logos. The On-Field variety comes in either solids or a few different stripe styles. 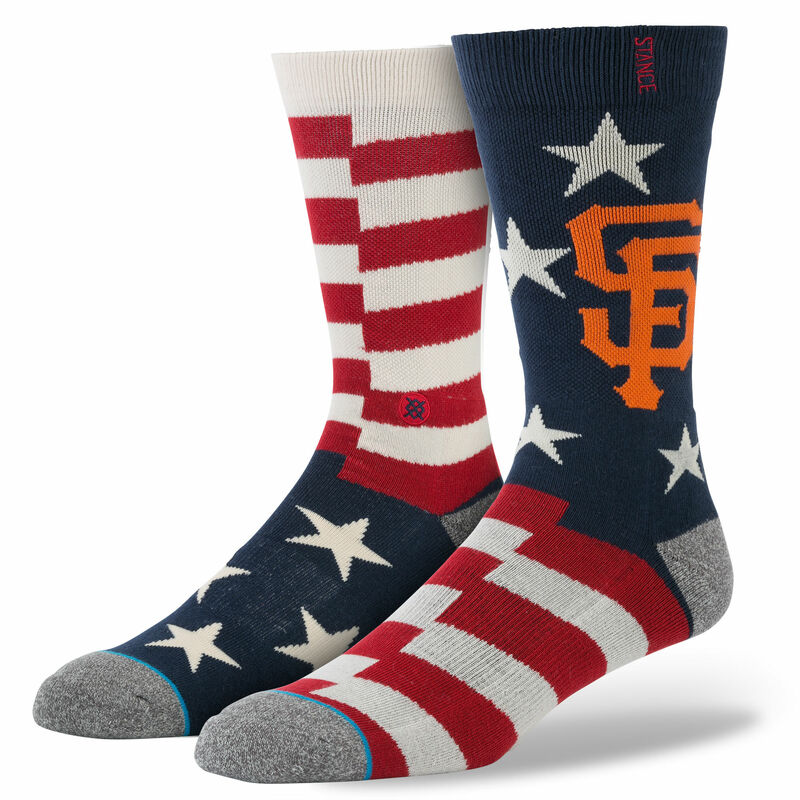 We can expect themed socks for events such as Jackie Robinson Day, Mother’s Day, Fourth of July and others to show up throughout the season. 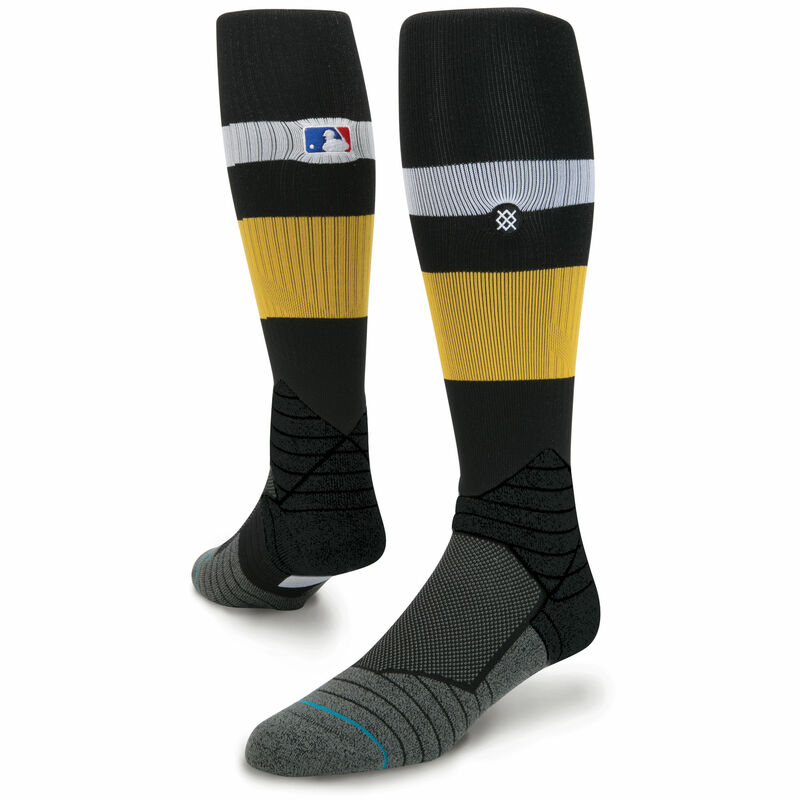 The MLB On-Field sock adapts the Official NBA sock model to a more baseball appropriate height. The toe, footbed, and ankle all follow the same design as their basketball brethren, while the height is just ratcheted up. The switch in the NBA from their generic white or black solid NBA branded socks to Stance brought some resistance from uniform traditionalists who didn’t want to see the simple aesthetic mixed up at all. Likely we would see an even louder outcry from MLB fans and players if the switch were more dramatic than it has been. 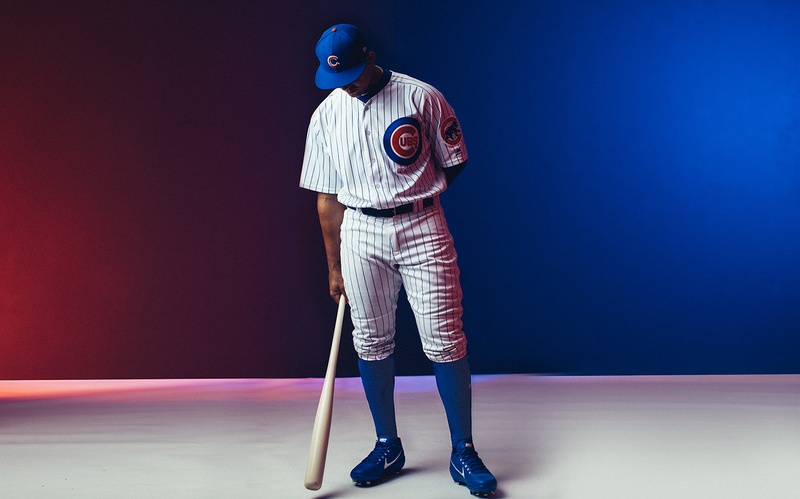 I don’t think we’ll be seeing the Yankees or Cubs iconic uniforms altered in anyway. However, I would be excited to see if teams like the D-Backs take a chance on some more wild socks with different prints since their uniforms are far from traditional. 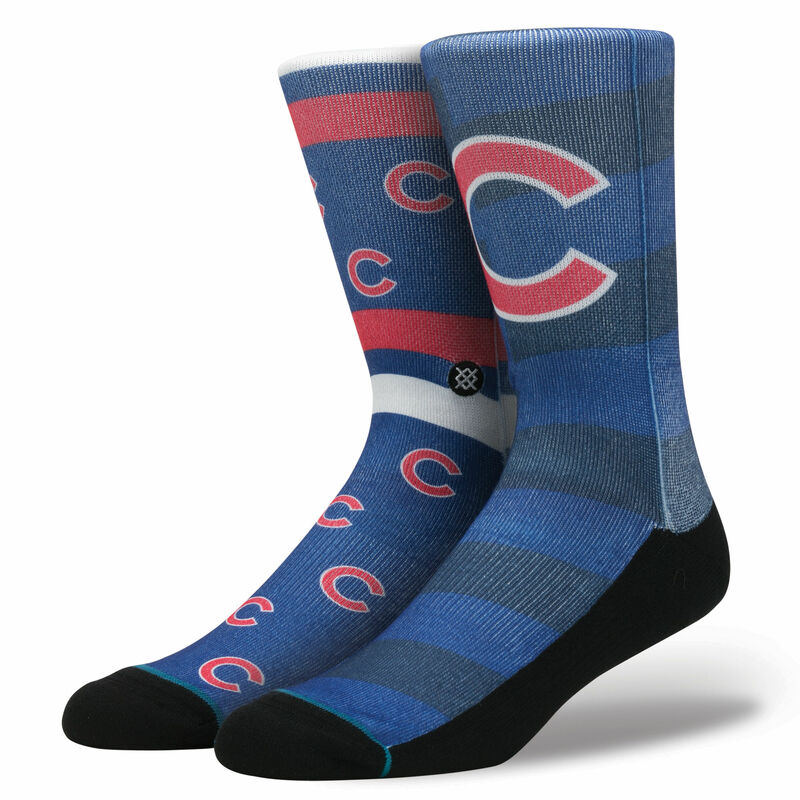 To go with their On-Field collection, Stance has also released a series of Casual MLB and Team branded socks on their webstore, stance.com. 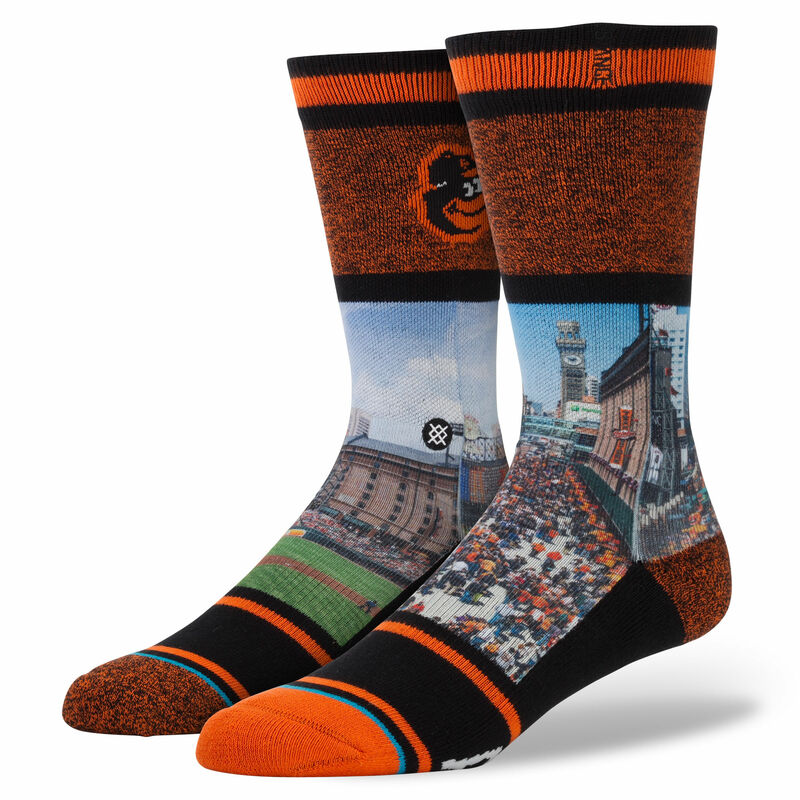 Currently there are a few styles available; a team-colored heather pattern with a small team logo, a pair with a smattering of small team logos and one large logo on the other sock, more traditional baseball socks with team logos, screen-printed pictures of stadiums, and screen-printed iconic players. It’s always exciting to see MLB step out of its comfort-zone and really embrace something new. Their partnership with Stance will hopefully be a first step in embracing and attracting the younger and more casual fans that the league desires so much. 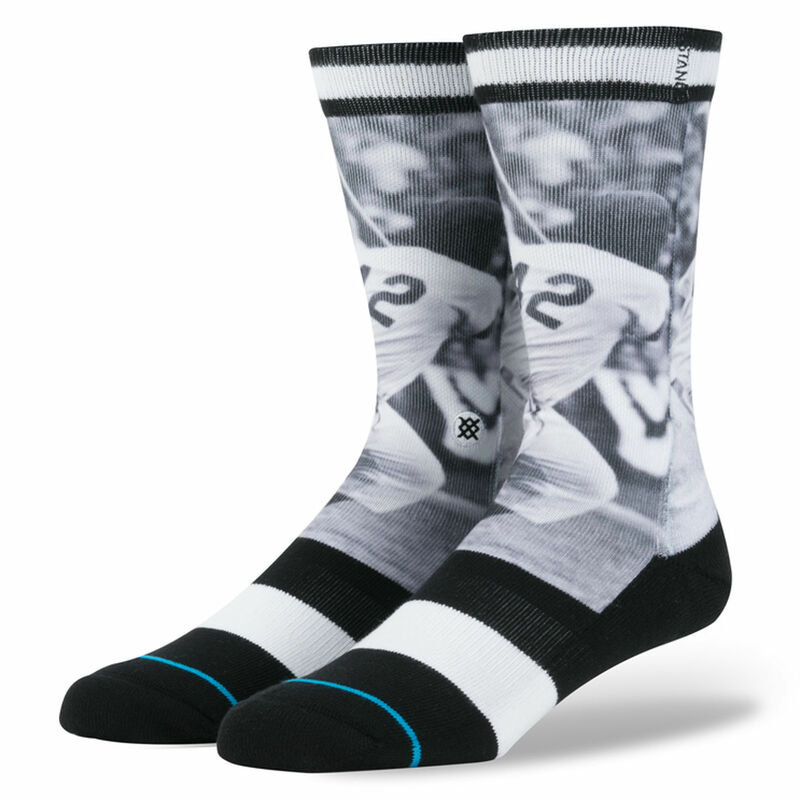 Stance On-Field Collection is available here for $22 per pair. 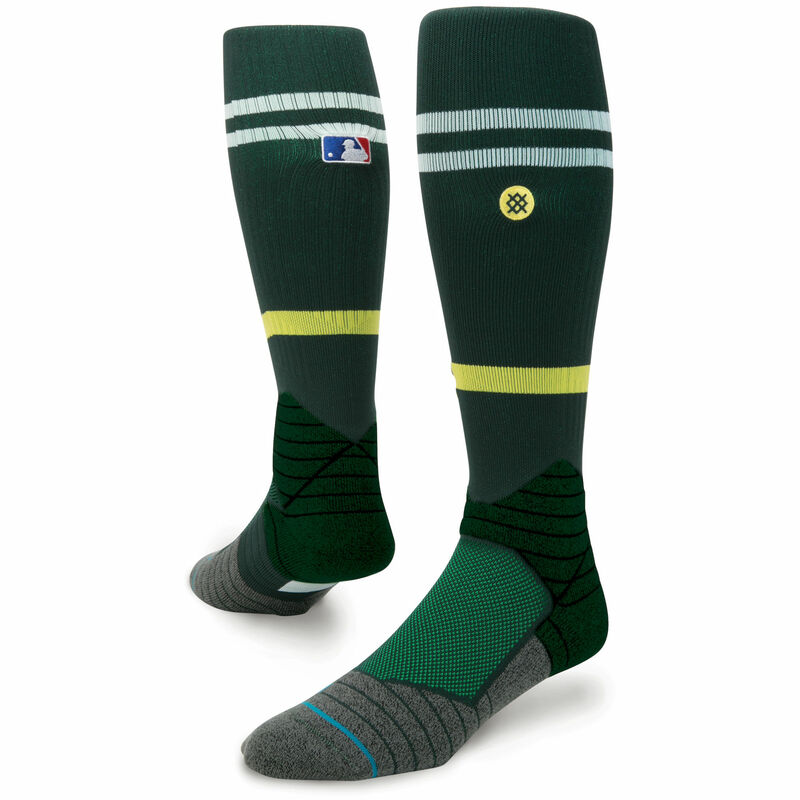 Stance Off-Field Collection is available here for $16-$18 per pair. Official Release of Robinson Cano’s New Balance 3000v2 Cleats Welcome to the New WhatProsWear.com Catcher’s Corner: Review of the Nike Pro Gold Precision Catcher’s Set More adidas News: New Cleat, adiZero Afterburner 2 Mizuno’s Special Edition All Star Cleats Closer Look at the Custom Evoshield Gear Worn at the ASG Catcher’s Corner: Performance Review of Unequal Tech Protective Batting Gloves: When Will MLB Teams Protect Their Assets?